USA Powerlifting (formerly American Drug Free Powerlifting Association, Inc.) is the leading powerlifting organization in the United States. USA Powerlifting operates as a 501(c)(3) non-profit organization. USA Powerlifting is a member of the International Powerlifting Federation (IPF), the governing body of powerlifting internationally. The IPF is comprised of member federations from eighty-three countries on six continents. It is the mission of USA Powerlifting to provide powerlifting competition of uniform high quality which is drug tested and available to all athletes who meet the criteria for membership throughout the United States. 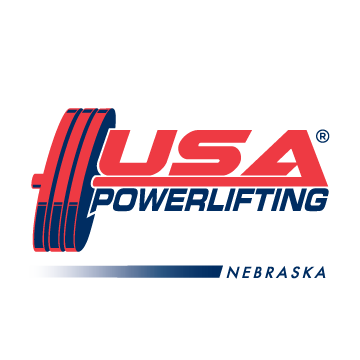 USA Powerlifting is responsible for sanctioning local and regional events where powerlifters can compete in hopes of qualifying for the national level events. Local Nebraska USAPL sanctioned meets are qualifiers for those meets. Besides the powerlifting event there is also a bench only event. Both events can be lifted in the equipped division (wraps, belt, suits) or raw division (non-supportive suits, belt only).  USA Powerlifting Nebraska is proud to represent Nebraska’s strongest drug-free lifters and through this website we will keep you up to date on Nebraska and surrounding area’s events. If you have any questions, see corrections needed, or would like something to be considered for posting, please contact our web master Michelle James by using the contact form. Thanks for visiting our site! Now get off the computer and go lift!!!! !